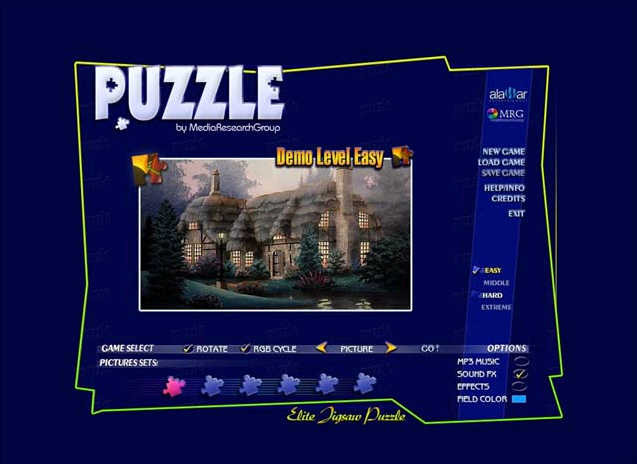 Elite jigsaw puzzle with lots of puzzles included and ability to make your own, super Daily Jigsaw Puzzle Game for you ! 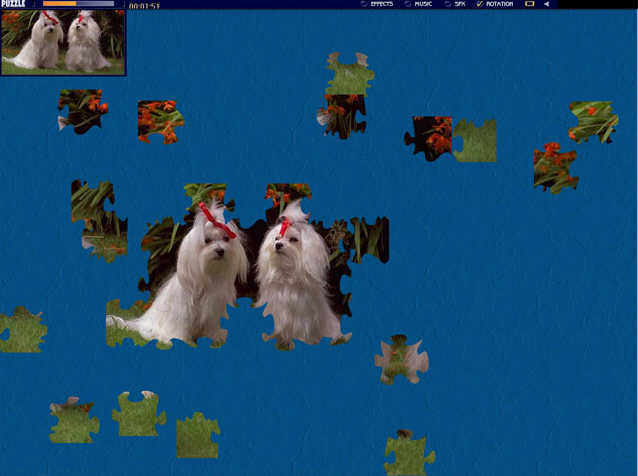 Daily Jigsaw Puzzle Game The fun of the Jigsaw puzzle game is to solve a jigsaw puzzle while listening to nice music. There are several picture sets and a varying number of pieces for you to select. Pieces may have queer shapes rotated to any angle so it's not as easy as it looks.